"Jacinte Armstrong is an award-winnng Halifax-based dance artist who has worked with many collaborators locally and across Canada. She trained at Halifax Dance before studying at the New World School of the Arts in Miami, FL. 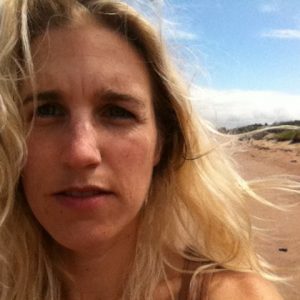 Jacinte is currently the Artistic Director of Kinetic Studio, and performs regularly with Mocean dance, SiNS (Sometimes in Nova Scotia) dance, independently, and in her own work. Her choreography ranges from intimate and imagistic to large-scale collaboration with architects, filmmakers, musicians and audio producers."